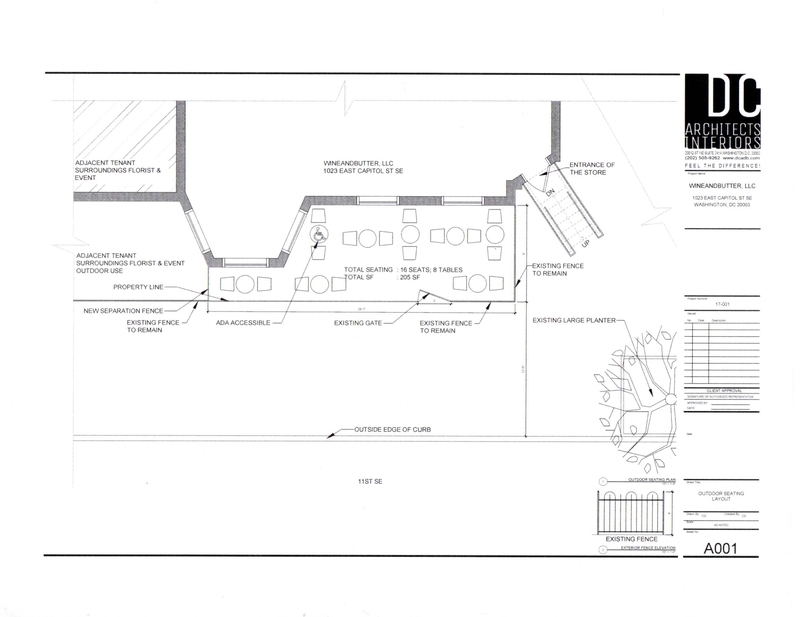 Anh-Doa Vietnamese restaurant at 1123 Pennsylvania will be the office and space for tools and garden products. It will open later in the spring after remodeling. The parking lot behind 1123 – 1129 Pennsylvania will be transformed into the outdoor garden center and will open April 1. Gina Schaefer, co-owner of A Few Cool Hardware Stores (AFCHS), confirmed yesterday that Frager’s Garden Center will reopen in the 1100 block Pennsylvania Avenue, SE, on April 1, in time for spring planting. Last April, John Weintraub, the owner of Frager’s Hardware, sold the store to A Few Cool Hardware Stores and it became part of the ACE Hardware cooperative. 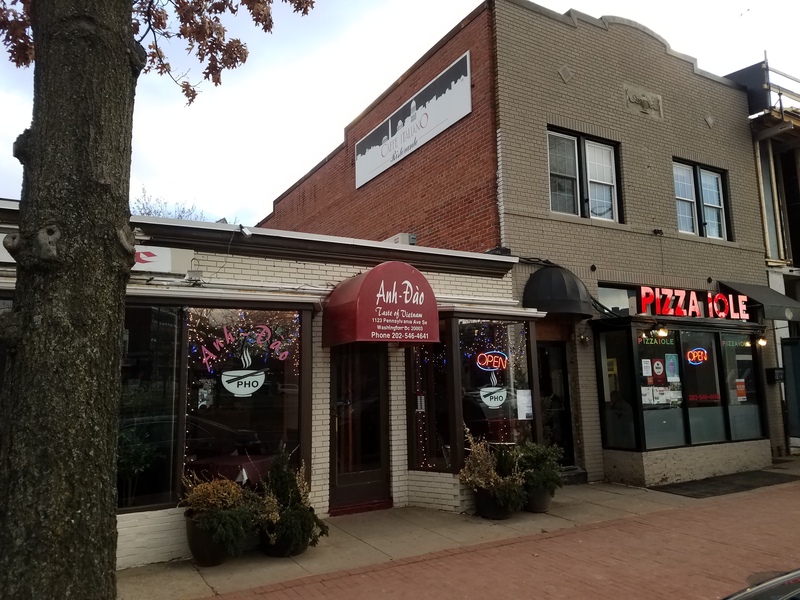 Yesterday, Mahmoud Abdalla and Ken Noroozi, owners of the three properties at 1123 – 1129 Pennsylvania Avenue (currently housing Hype Café, Pizza Iole and Anh-Doa Vietnamese restaurant) announced they have leased the space occupied by the Vietnamese restaurant at 1123 and the triangular parking lot behind the three businesses to AFCHS. The large outdoor lot behind the building will open on April 1 and will be developed into a space for perennials, annuals, trees, vegetable plants and greenery. AFCHS will take several months to remodel the restaurant for the sale of garden tools and related products after the restaurant vacates in the next 30 to 40 days. Schaefer says the garden center will continue in this location even after their new Frager’s operation opens in the building currently under construction on the site of the former Frager’s outlet. AFCHS co-owners Gina Schaefer and Marc Friedman also own 5th Street Ace Hardware, Canton Ace Hardware, Federal Hill Ace Hardware, Glover Park Hardware, Logan Hardware, Old Takoma Ace Hardware, Tenleytown Ace Hardware, Waverly Ace Hardware, Woodley Park Ace Hardware and Old Town Ace Hardware. 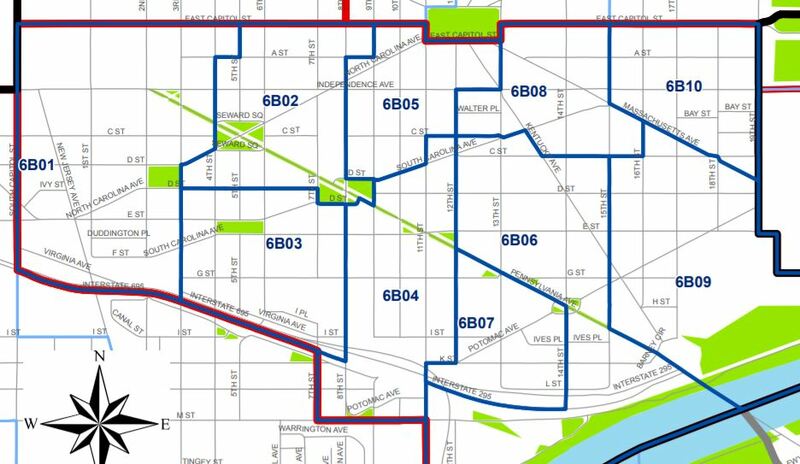 The Single Member District 6B02 includes Eastern Market, Eastern Market Metro Plaza, and the Hine Project. 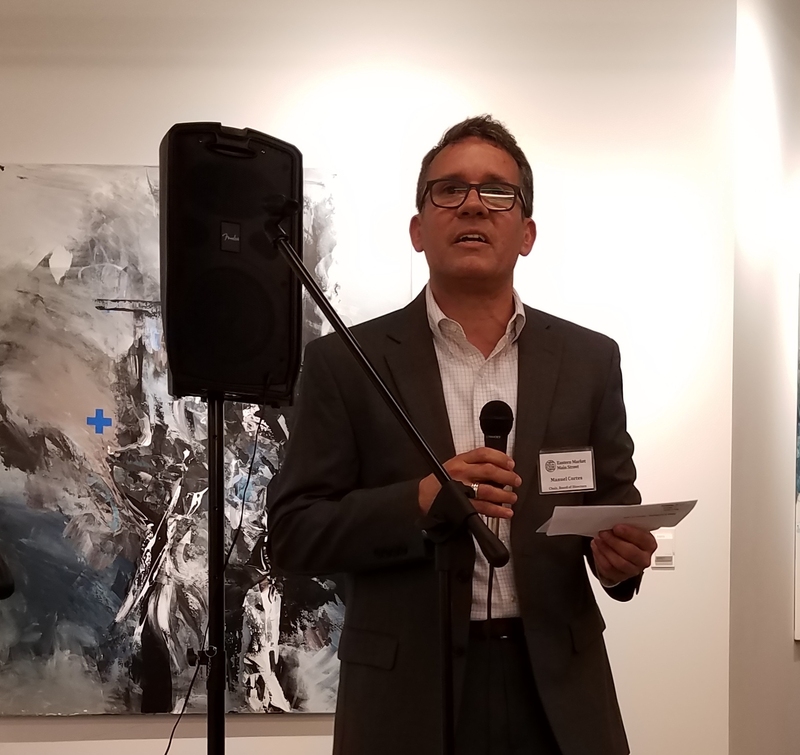 On Monday, Jerry Sroufe announced his candidacy to fill the vacant seat left by the resignation of Commissioner Diane Hoskins as the representative for ANC6B02. The single member district is a demanding one, including Eastern Market, Eastern Market Metro Plaza, and the Hine Project. Sroufe was a candidate for the seat in 2014, losing then to Hoskins by a vote of 343 to 457. “As you know, I ran against Diane in 2014. While ours was a competitive race I have had no regrets about losing to Diane – she has been an outstanding ANC Commissioner. Sroufe’s letter went on to list the goals he would work toward as commissioner: “Here are five points suggestive of my interests: (1) continuing Diane’s engaged approach to constituency representation, especially with regard to issues involving rodents; (2) working to assure the future of Eastern Market as a food market; (3) holding to the hard-won zoning regulations within the Historic District of Capitol Hill; (4) and insisting that DC government officials and agencies act with knowledge of the “great weight” to be attributed to ANC opinions. Additionally, (5), I will plan to explore the merits of establishing a new ANC committee: the committee on schools and education. On February 19, after notice of the vacancy appeared in the DC Register, the Board of Elections made nomination petitions available to interested candidates for the 6B02 seat. Candidates have until the close of business on March 12 to return the petitions with the names and signatures of at least 25 residents of the single member district (in this case 02) in question. There will then be a challenge period starting on either Thursday, March 15 or Friday March 16 and lasting until COB Wednesday, March 21 or Thursday the 22 (The BOE has some discretion with regard to when to start the challenge period) during which opponents have the opportunity to challenge the validity of signatures on each other’s petitions. 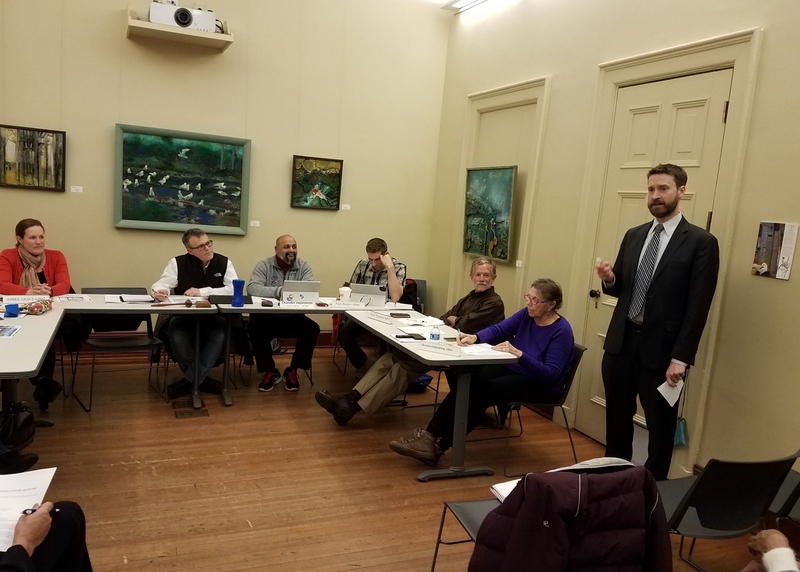 If two or more candidates for the seat emerge, ANC6B will need to give notice at a meeting that there will be a special election at a subsequent 6B meeting. The special election will be to fill the remainder of the term – until January of 2019; the seat will come up for contest again in November 2018 in the general election. If only one person establishes an eligible candidacy, they will be “deemed” the new Commissioner and the ANC will receive a letter from the Board of Elections telling them that. 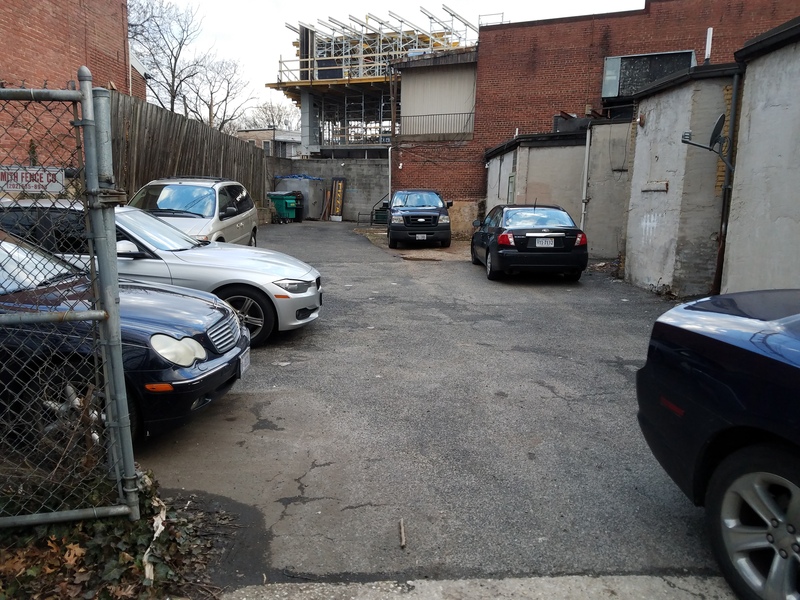 ANC6B has a second vacant seat as the result of the February 20 resignation of Commissioner Aimee Grace, ANC6B07 (See here: http://bit.ly/2HtpZeh) According to Gottlieb Simon, Executive Director of the Office of Advisory Neighborhood Commissions, the resignation is scheduled to appear in this Friday’s DC Register. If so, petitions for candidacy will be available on Monday, March 5. 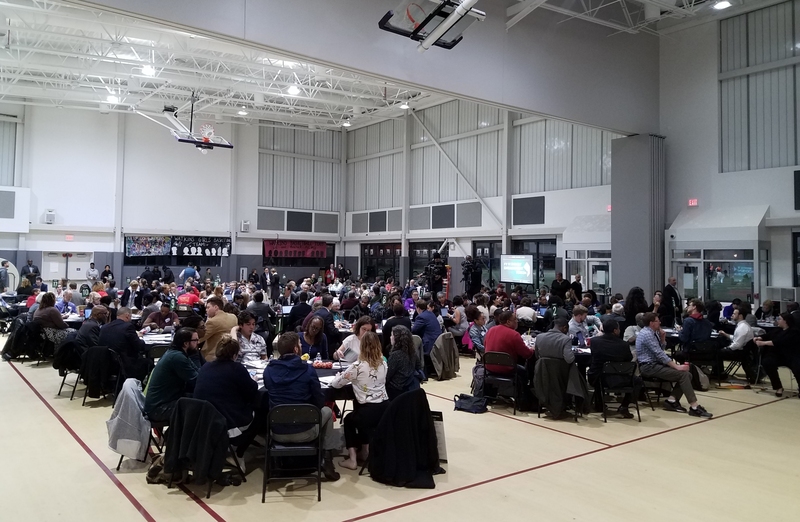 Eastern Market Main Street held its first annual meeting in The Yards – a co-working space provider located in the Hine project – last Wednesday. Manuel Cortes, Chair of EMMS Board of Directors and owner, GroovyDC. Madeline Odendahl, Executive Director of EMMS. The Capitol Hill community is trying to hash out the future of the 300 block of 7th Street and the weekend flea market and Eastern Market Main Street (EMMS) will be a key player in the decision. It counts 34 businesses in the Eastern Market business district – many of them on the 200 and 300 blocks of 7th Street as members. 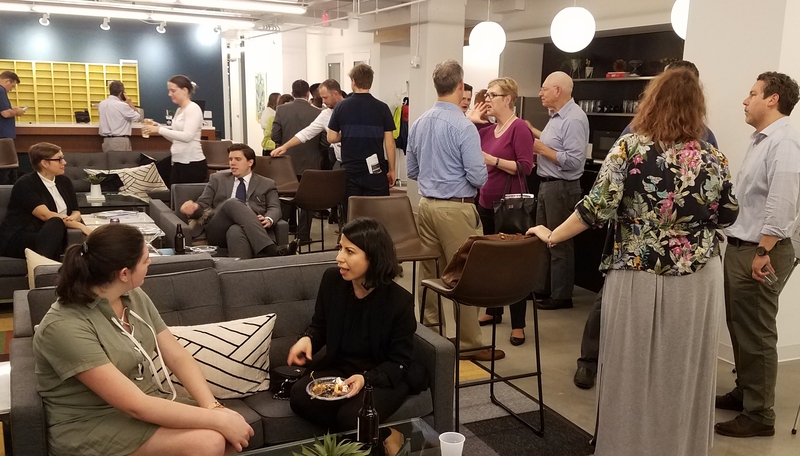 EMMS celebrated the first year of operations last Wednesday night on the second floor of the Hine project office building overlooking 7th Street; the entire floor is leased by The Yards – a co-working space provider with seemingly hundreds of work spaces available. 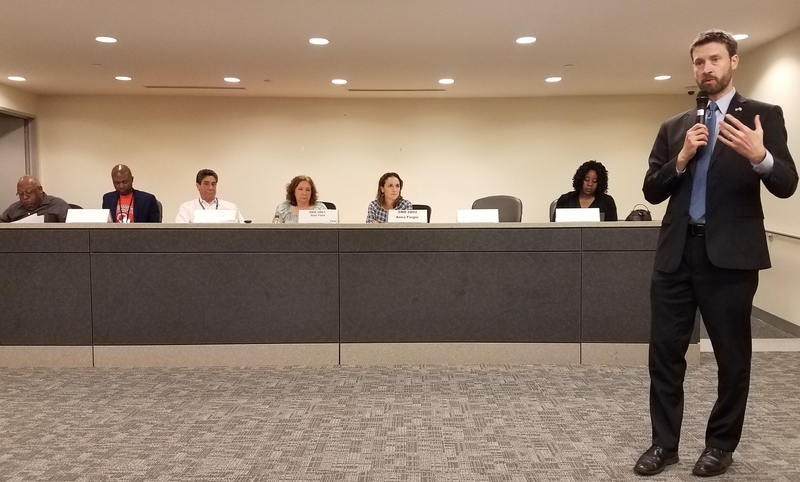 The day before their annual meeting, EMMS Executive Director Madeline Odendahl testified at a Department of General Services oversight hearing before CM Cheh’s Committee on Transportation and the Environment. DGS manages Eastern Market and vending on the 200 and 300 blocks of 7th Street. Odendahl expressed concern about the management of the 300 block of 7th Street and stressed the need to create a pleasant shopping experience for visitors, one that does not disadvantage either the brick and mortar businesses on 7th Street, or the fresh food merchants inside and outside Eastern Market. Currently, there’s a push from Eastern Market Community Advisory Committee (EMCAC) to create a strategic economic development plan for the Eastern Market business district. DGS reportedly created a “Request for Proposals” for development of such a plan, but EMCAC rejected it out of hand because DGS did not seek input from them or any other stakeholder. EMCAC is proposing a broad meeting of stakeholder to determine the path forward and how a “Request for Proposals” should be worded. The issue will come up Wednesday night at EMCAC’s February 28 monthly meeting at 7:00pm in the North Hall of Eastern Market. EMMS was founded in the fall of 2016 – a designated DC Main Streets program of the Department of Small and Local Business Development. 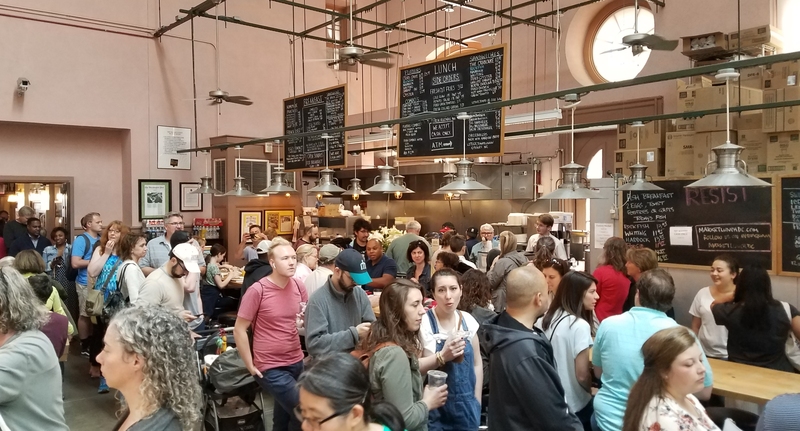 One of 16 DC Main Street programs, EMMS was founded by the business and building owners operating around and in the historic Eastern Market in order to establish a formal guiding organization to coordinate economic development efforts. The 2017 EMMS Board of Directors is as follows: Manuel Cortes, Chair, GroovyDC; Mary Quillian Helms, Vice Chair, Mr. Henry’s; Terry McDonald, Treasurer, Scallan Properties; Lona Valmoro, Secretary, Staff of Secretary Hillary Clinton; Michael Berman, Promotions Committee Chair, Diverse Markets Management; Loren Buskar, J.P. Morgan; Alex Golding, Economic Vitality Committee Chair, Stanton Development; Shaun Marble, Premium Title; Barry Margeson, Eastern Market Manager; Sean Pichon, Design Committee Chair, PGN Architects; Megan Shapiro, Compass Real Estate. 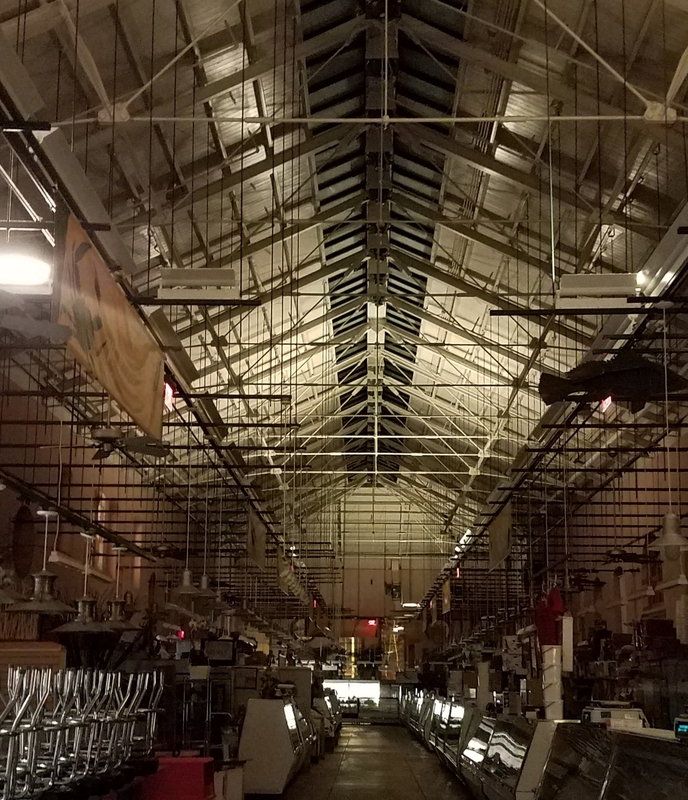 Eastern Market South Hall, February 22, 2018, circa 9:30pm. ANC6A Community Outreach Committee meets at 7:00pm at Eastern High School, Parent Center, 1700 East Capitol Street NE (Enter from East Capitol Street). ANC6A Transportation & Public Space Committee meets at 7:00pm at Capitol Hill Towers, 900 G Street, NE. The committee will resume regular meetings on the third Monday of the month beginning in March. ANC6A is seeking volunteer committee members. Presentation from the owners of Loaf Coffee, 101 15th Street, NE. Request for support of petition to rename the 200 block of 10th Street, NE, in honor of William Outlaw . 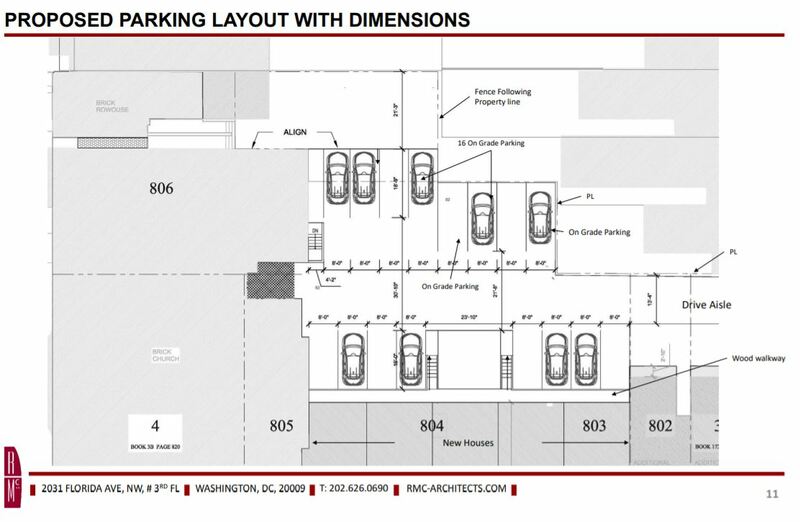 Review of Public Space Application for 809 12th Street NE (Horace and Dickie’s). ANC6B Executive Committee will meet at 7:00pm in Hill Center to set the agenda for the next meeting of the full ANC6B on March 13. PSA 106 will not meet in February. PSA 106 will be moving to a bi-monthly meeting in March with a special meeting on Monday, March 19 at 7:00pm at Capital Quarter Community Center @ 1000 5th Street, SE. Eastern Market Community Advisory Committee (EMCAC) will meet at 7:00pm in North Hall, Eastern Market, 225 7th Street, SE. The City Council Committee on the Judiciary & Public Safety will hold a Performance Oversight Hearing at 9:30am in Room 120 of the Wilson Building, 1350 Pennsylvania Avenue, SE. A group of activists protesting the Mayor’s incentives for Amazon’s new second HQ take their objection directly to the Mayor. Boswer took the interruption in stride. Here’s a wider view of the protest. More than 200 residents showed up to offer input on shaping the FY 2019 budget. Activists disrupted Mayor Bowser’s budget engagement forum at Watkins School last Thursday. 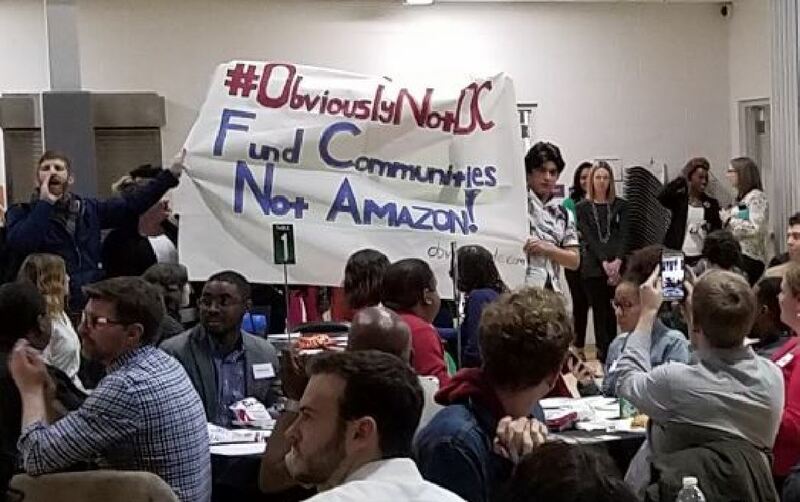 The group who – according to City Paper** – is affiliated with the Metro DC Democratic Socialists of America were protesting Mayor Bower’s secret package of incentives offered to lure Amazon to DC as the site of its second headquarters. Incentives they say could be better spent on housing and education. Unfazed by the interruption and chants of “Money for schools – Money for housing,” Bowser continued to speak, until she broke off and repeatedly said “thank you” as security people escorted the group out of the gymnasium. MPD Chief of Police Peter Newsham was on hand, though it was unclear whether this was the only budget forum he’d attended. 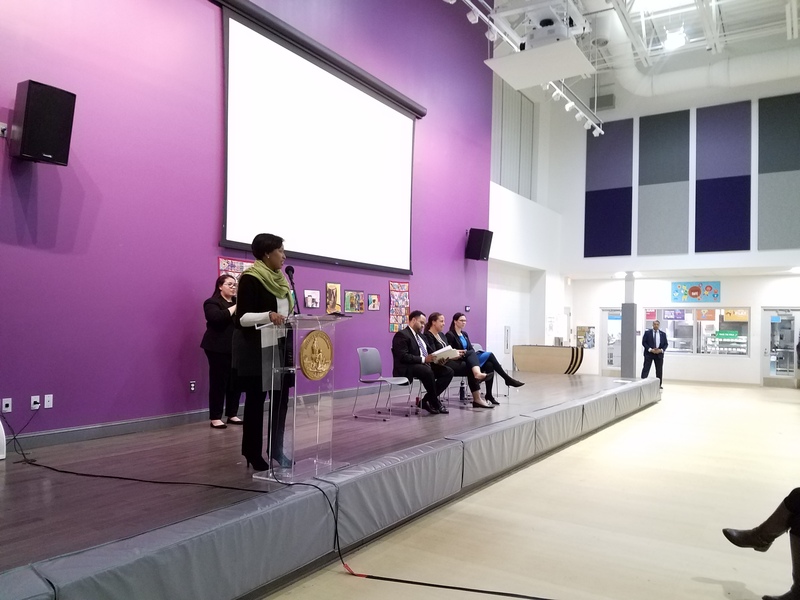 The forum was the second of three community meetings designed to give residents an opportunity to share their values and priorities with the Mayor before the FY 2019 budget is finalized. 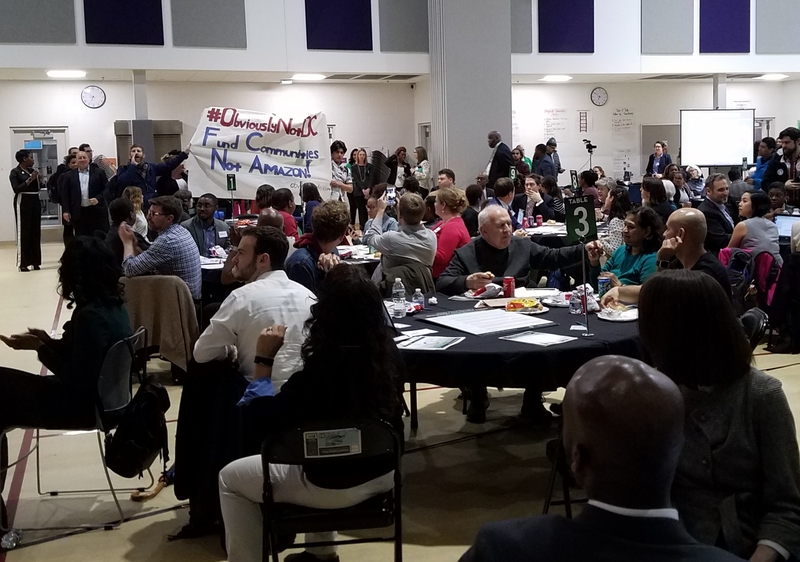 Participants received an overview of the current FY 2018 budget and participated in small group discussions about how funds should be allocated. Residents were asked to allocate $100 among the following fields: Education, Public Safety, Jobs and Economic Opportunity, Housing, Government Operations, and Health and Human Services. 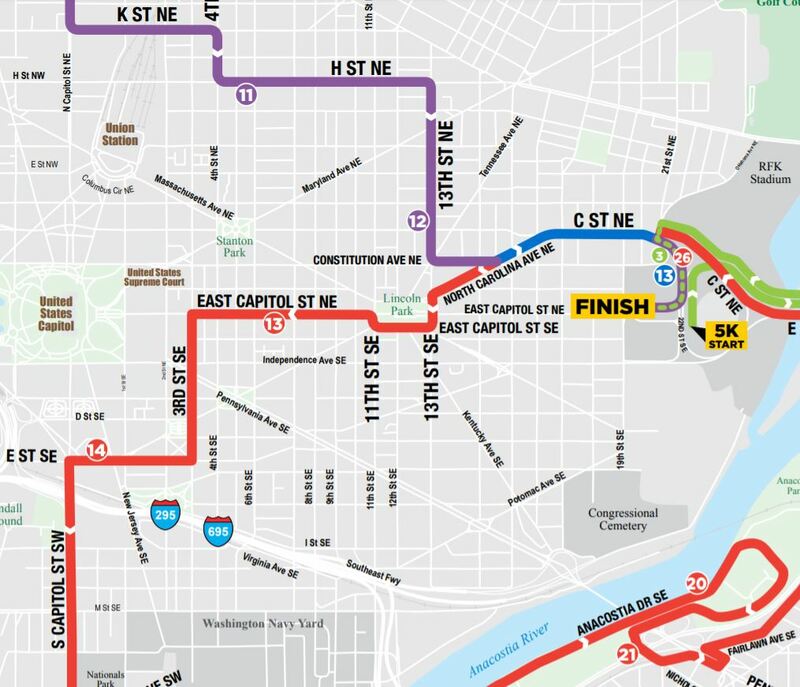 MPD would ban parking on these streets on or near Capitol Hill on the evening of Friday, March 9th until after the finish of the Rock ‘n’ Roll Marathon on Saturday, March 10. Here’s a bigger picture of the streets affected by the no parking policy. Friday morning, CM Charles Allen criticized an MPD plan to clear marathon and other race routes of parked cars the night before the event as a “bad idea.” The new MPD policy – the “Clean Route Initiative” – will be first effective for the March 10 Rock ‘n’ Roll Marathon which includes 26 miles of streets many of which traverse the length and breadth of the city, including more than 60 blocks on or near Capitol Hill. Allen’s remarks came during his regular community office hours at Radici across from Eastern Market. MPD has not provided a rational for the proposal nor has it asserted that there is a credible threat to the race. Allen said he wants a safe event but he doesn’t see how removing every vehicle from the race route guarantees that, adding, “I’m not interested in security theater.” He has asked MPD to reexamine whether the plan is necessary. 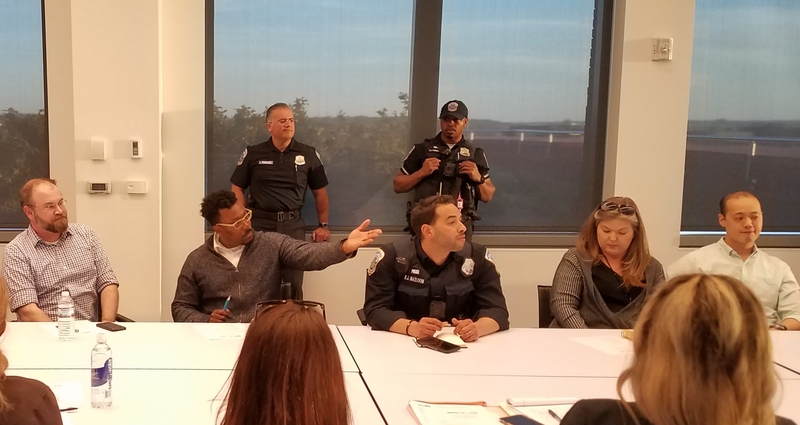 MPD policies are not subject to public comment or review, and CHC asked Allen if he is prepared to pursue a legislative fix if MPD insists on clearing the streets. Allen replied that he wants to give the Chief of Police a chance, and can better answer that question after his (Committee on the Judiciary and Public Safety’s oversight) hearing on MPD next week. 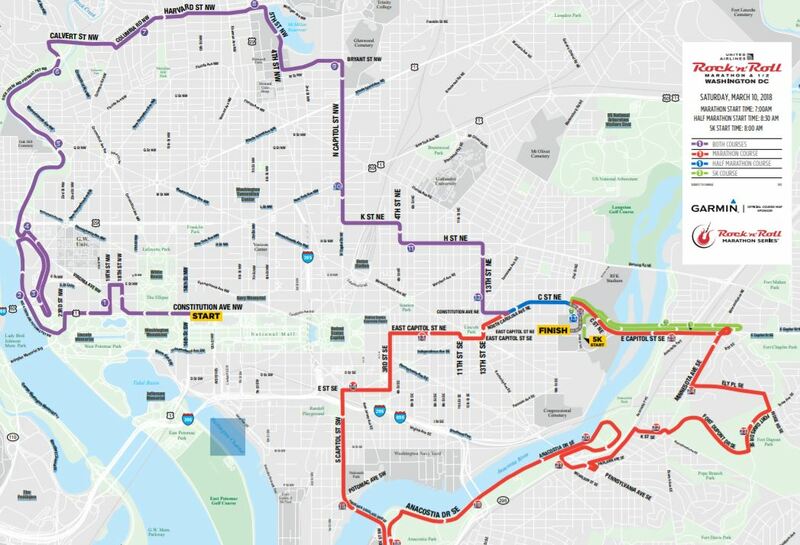 MPD’s “Clean Route Initiative” would affect not only the Rock ‘n’ Roll Marathon, but all other marathons and races, including the 33 blocks of the school fund raising event “Capitol Hill Classic” scheduled for May 20. Cars which have not been removed will be towed at the expense of the race organizer – in the latter’s case a group of three DC Public schools. Capitol Hill residents have long suffered the imposition of outside for-profit races such as the Rock ‘n’ Roll marathon (with 25,000 participants) in terms of inconvenience, difficulty in negotiating city streets, trashed start and finishing points, and noise of early morning event organizing. To ask them to find parking for some 1500 cars by pushing them out into neighborhoods beyond the race route seems unreasonable. It appears to be one more example of the city and its agencies prioritizing revenue over the quality of life of its residential community. The Committee on the Judiciary and Public Safety Oversight hearing will be on Thursday, March 1, at 9:30am in Room 120 of the Wilson Building at 1350 Pennsylvania Avenue, NW. 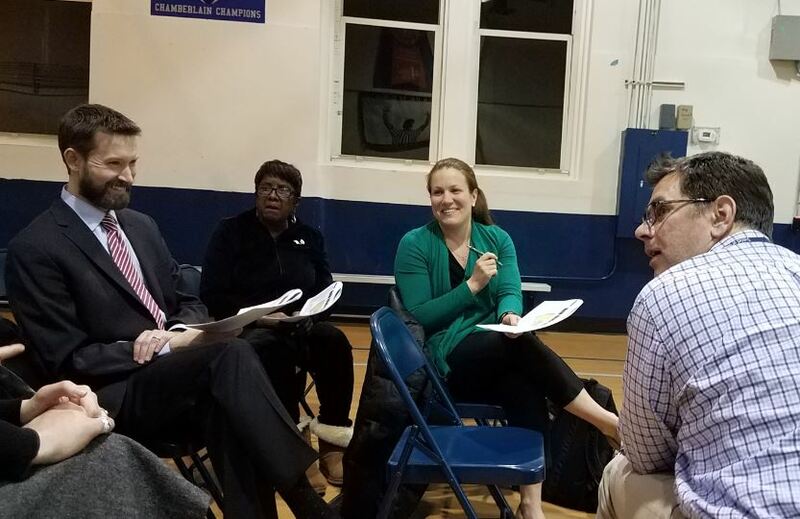 ANC6B07 Commissioner Aimee Grace shares a laugh with CM Charles Allen at a meeting on the final design for the Potomac Avenue Triangle Parks Design. In bittersweet news, I submitted my letter of resignation (attached) as ANC 6B07 Commissioner today. As you may recall, I announced in December 2017 that I need to resign given a change in my husband’s job and our decision to move home to Hawaii to be closer to family. 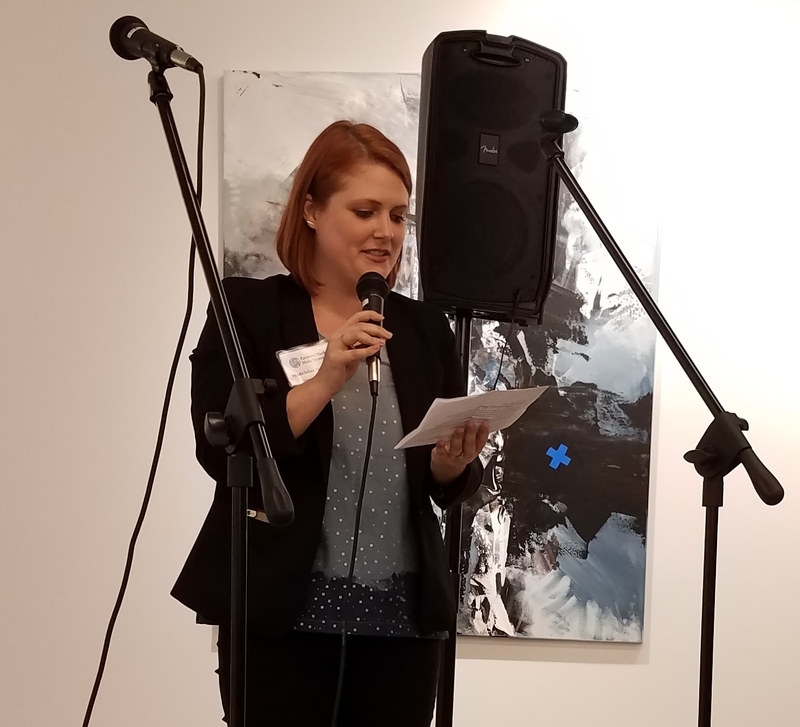 The move leaves two vacancies on the ANC6B board – commissioner Hoskins announced her resignation on February 4 because of the demands of a new job. The usual procedure for filling vacant seats once ANC6B declares a vacancy is by special election at a time and place determined by the ANC. Capitol Hill Corner will post the details as they become available. 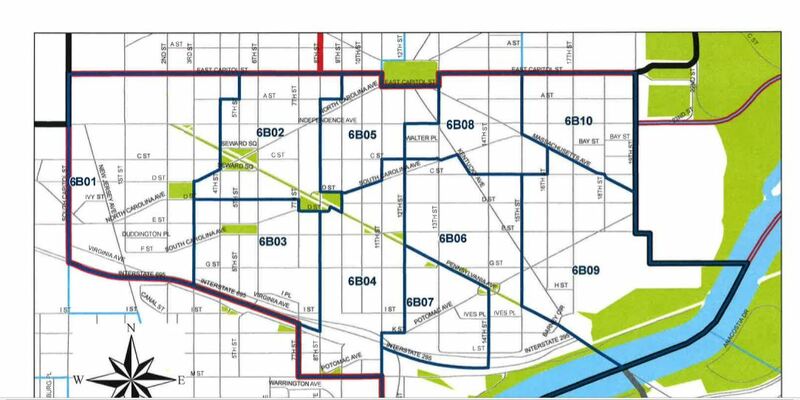 A map of ANC6B is below. Potential candidates should contact the DC Board of Elections on the procedures for establishing candidacy. See here: http://bit.ly/2BHHwis If only one candidate emerges, the usual procedure is for the ANC to declare that candidate the new commissioner. Councilmember Charles Allen at ANC6B last week, briefing the Commission on the work of his Committee on the Judiciary and Public Safety including upcoming oversight hearings. Allen will hold community office hours on Friday, February 23, at 8:00am at Radici. 303 7th Street, SE. No ANC meetings. No trasn/recycling pick up. Service will resume on the day following your regular pickup. The DC City Council’s Committee on Transportation & The Environment will hold a Performance Oversight Hearing at 1:00pm, in Room 500 of the Wilson Building, 1350 Pennsylvania Avenue, SE. The Department of General Services is scheduled to testify. ANC6A Economic Development & Zoning Committee meets at 7:00pm at Sherwood Recreation Center, 640 10th Street, NE. 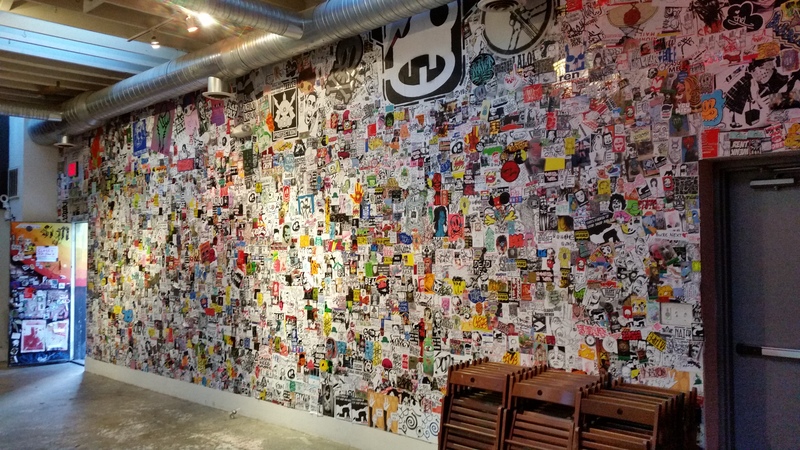 Discussion – Loaf Coffee: Members of the community have expressed concern about Loaf Coffee, a new coffee shop that has opened at 101 15th Street ,NE. 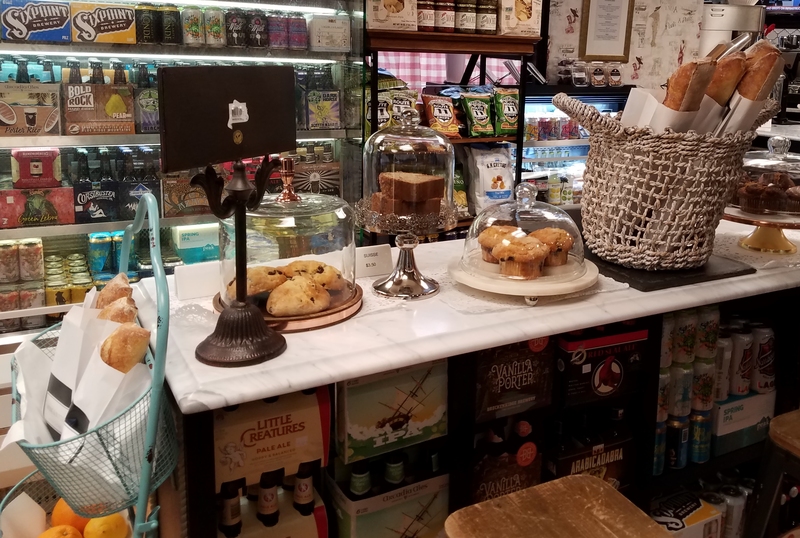 The concerns raised focus on whether Loaf Coffee plans to sell or provide marijuana-related products and the nature of some of their marketing material. Community meeting to solicit input on reuse of Marine Barracks Building 20 (on 8th Street, next to the freeway), 6:00pm, Tyler Elementary School, 1001 G Street, SE. 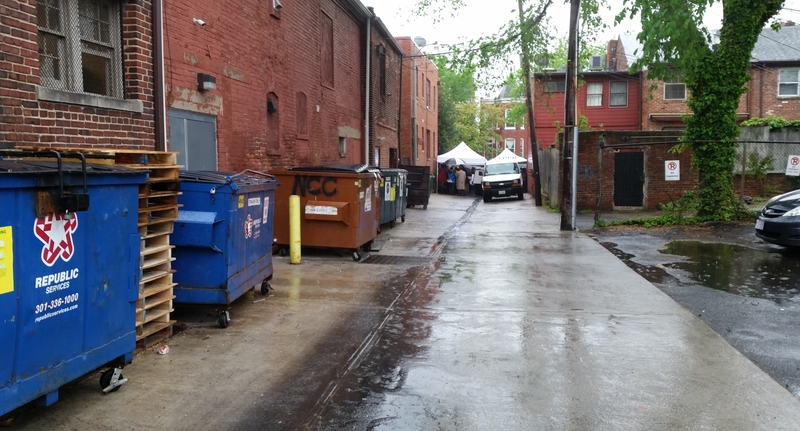 Discussion of the new Merchant Parking Permitting for North Hall alley parking. The Mayor’s 2018 Budget Forum, 6:30pm, Watkins Elementary School, 420 12th Street, SE. ANC6B’s Comprehensive Plan Working Group meets at 7:00pm, Hill Center. To learn more about the project and register to attend a hearing, please visit http://op3.dc.gov/streetlights or call (202) 724-2128. Councilmember Charles Allen holds community office hours at Radici, 303 7th Street, SE. Public hearing on DC’s Smart Lighting Project’s effort to modernize the District’s 75,000+ streetlights. 6:30pm to 8:30pm at the Mt. Pleasant Public Library at 3160 16th Street, NW. In May, Wine & Butter – formerly P&C Market – will add a sidewalk cafe (as below) in the space on the left. 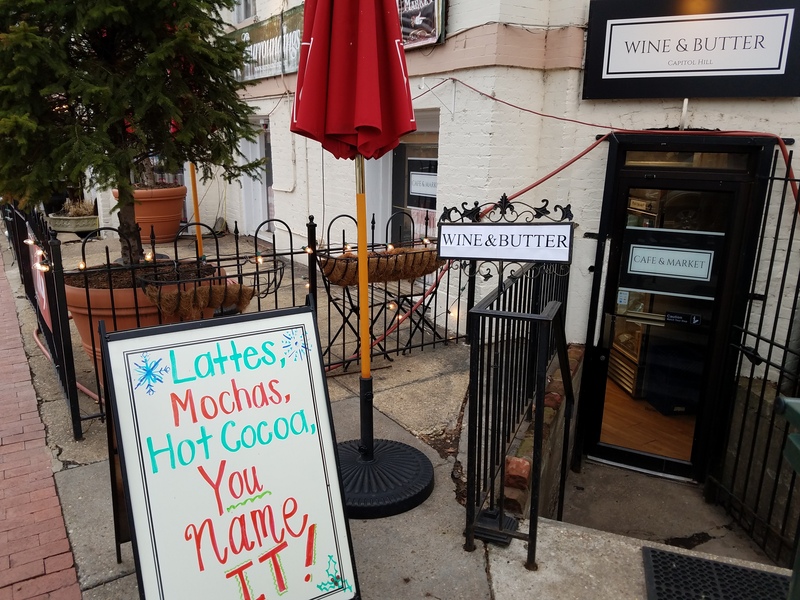 ANC6B recommended approval of this public space application for Wine & Butter last week. Click to enlarge. 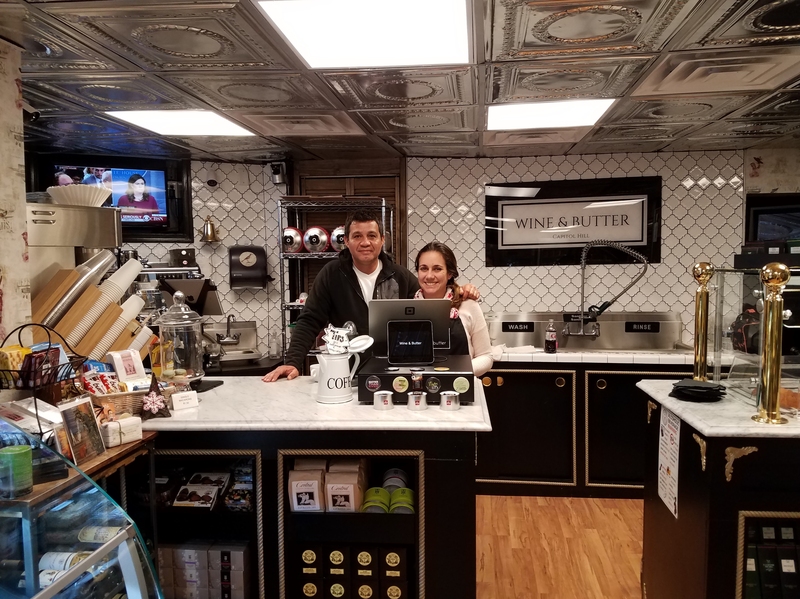 Last May, after Attilla Suzer and spouse Lisa Friedman leased the space formerly occupied by P&C Market on 11th Street across from Lincoln Park, they kept the original idea of P&C and expanded the operation to sell a full line of prepared coffee drinks and pastries from an authentic French bakery in Rockville. Now the couple plan to open an 8 table sidewalk café in May and offer wine by the glass as well as non-alcoholic drinks with their pastries and sandwiches. 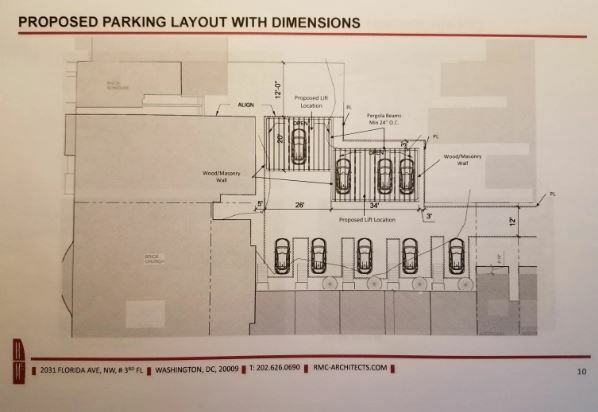 Tuesday night, ANC6B signed off on the public space application. Suzer and Friedman, who live a few doors away, also own Bacio Pizza in Bloomingdale. 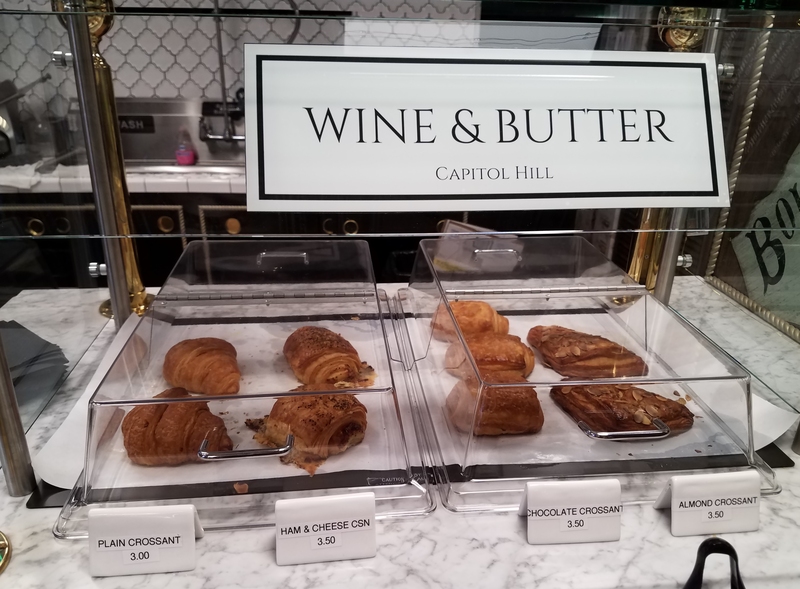 Why Wine and Butter? 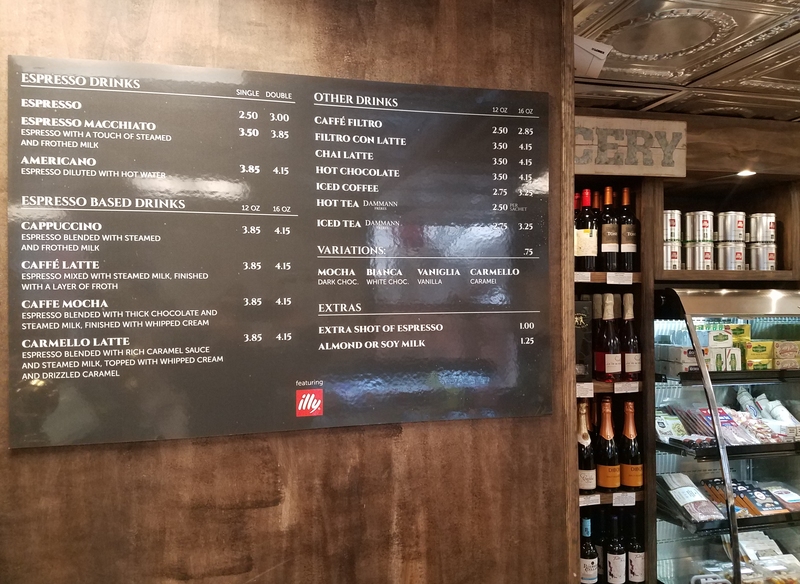 Attilla says it’s to emphasize the shop’s line of wines as well as remind customers the shop continues to carry the line of grocery products offered by P&C. and more pastries and baguettes. Your host, Attilla Suzer is pictured with an employee, Juliana Lessar. An earlier version of this story mis-identified Ms. Lessa as Juliana Suzer in both the photo caption and the text of the article. CHC regrets the error.